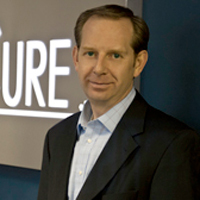 Brian Pryor is co-founder and the Chief Executive Officer at LiteCure®, LLC in Newark, Delaware. He has developed and taken to market several lasers and light based technologies. Dr. Pryor is well published (having contributed to 35 papers and several book chapters) in the areas of chemistry, physics, laser development and applications, including lasers in medicine. He has recently published “Clinical Overview and Applications of Class IV Therapy Lasers.” He has also recently written chapters on the subject of laser therapy in Current Perspectives in Clinical Treatment and Management in Workers’ Compensation Cases and in Your Dog’s Golden Years: A Manual for Senior Dog Care. Dr. Pryor holds bachelor degrees in Mathematics and Chemistry from Salve Regina University and a PhD in Physical Chemistry from the University of Pennsylvania.